Bought this to go with the excellent Wolf Tec Tour Trousers I have. The Wolf Tec Tour Jacket suffered with build quality and a tight fit on my 18" neck. 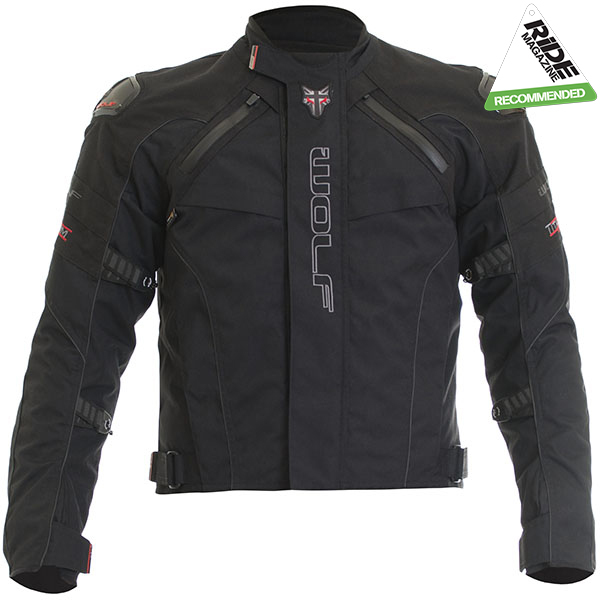 This jacket is the polar opposite for build quality, excellent build, fit and some really good features. The neck could be too open for some but a buff fixes the draughty neck but it is perfect for me. Not best for the coldest weather as I did feel the cold at 4-5°C on my chest recently but only had single layer underneath. I love the fit and the style of the jacket is spot on for me. Great fit. Comfortable, good looking jacket at an unbelievable price. I don't ride in the rain so cant comment on that but it's warm and feels great. Excellent service too. Managed to get this jacket while on offer and I was so lucky. Fits perfectly and feels a really good made product and good protection. As per previous reviews I have had a strap unpop but it's not the end of the world as I just popped it back on again. I've not worn it in the rain so can't comment on waterproofness and so far I have always had the lining out of it so not needed to test it in the cold yet. Good jacket. Inside pockets are in the lining. Phone pocket is small, not suitable for new type smart phones. Nice and warm without being bulky. I've had the Tour-Tec trousers for a couple of years which are brilliant and wanted the matching Jacket. I already own a long jacket and it was murder all summer! So when Sportsbikeshop sent me an email with their latest sale items and I saw the Free Style jacket was included with 40% discount!! That was it deal done. It's been below 10 degrees in the morning and I've only had a T-shirt on and perfectly warm. Went a size up from normal and fits great, looks great! Would be better with a couple of breast pockets and would be great if it was made in Britain. Moral of the story, get yourselves on to the Sportsbikeshop email list for all the latest products and bargains!! I was unsure whether to give this 4 or 5 stars but opted for 5 because it is so well made. However, there a couple of design question marks and only time will tell if these become an issue. I agree with other comments that the poppers on the arms are not strong enough and come undone when putting the jacket on. I also think that there should be a zip on the cuffs. This would make it far easier to remove and attach the thermal lining and also put the sleeves over my gloves which I prefer to do when is raining. I have not worn the jacket and trousers in the rain yet so cannot comment on how waterproof they are. My concern is that even when zipped together to the matching trousers, the zips are quite short and there is a big gap at the front where the jacket and trousers are not held together. I appreciate this is a sports style jacket but with very little overlap over the trousers but I think water will get between the 2 garments at the waist. I hope I am wrong but..... As ever Sportsbikeshop were great value and very efficient. I brought this as a replacement for and existing jacket. Fitted well and overall very good quality. I am also looking at buying another of their full winter jackets. Excellent fit, quality product. Bought in sale so excellent value. Great service as always from Sportsbikeshop.